Thanks to his deep personal and professional roots in Europe, Ambassador Gardner displayed a rare understanding of European affairs and improved US-EU commercial and political ties at a critical time in the relationship. During his tenure he made relations with the European Parliament a priority on important issues relating to trade, data privacy and the digital economy. Previously, Ambassador Anthony Gardner served as an Executive Director in the leveraged finance departments of Bank of America and GE Capital and as a Director in the international acquisitions group of GE International, all based in London. He has also worked as a Senior Associate at international law firms in London, Paris, New York, and Brussels. Anthony Gardner has been warning of trade war since May 2017, and businesses often laughed. He has recently been proved right. Anthony Gardner holds a BA in Government from Harvard University, an MPhil in International Relations from Oxford University, a JD from Columbia Law School, and a Masters in Finance from London Business School. He is also a member of the Council on Foreign Relations, has served as Trustee of the Guggenheim UK Charitable Trust, and a Board Member for the Peggy Guggenheim Collection in Venice. Ambassador Gardner is fluent in French, Italian, and Spanish, and also speaks German. 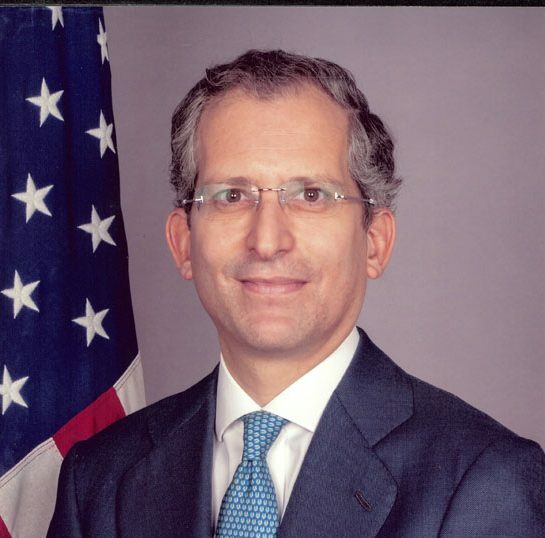 "Anthony Gardner became the United States Ambassador to the European Union in early 2014. One of his main objectives in this position is to negotiate the Transatlantic Trade and Investment Partnership, a proposed trade agreement between the European Union and the United States. In 1994 and 1995, he was Director for European Affairs on the National Security Council, and before becoming Ambassador was managing director at private equity firm Palamon Capital Partners. " Will Davos See a Clash Between Populists and Globalists?